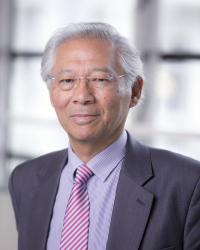 Professor George Yip is Professor of Marketing and Strategy, and Associate Dean for Executive Programmes at Imperial College Business School. Previous academic positions include Professor of Strategy and Co-Director of the Centre on China Innovation at China Europe International Business School, Dean of Rotterdam School of Management – Erasmus University, and faculty at Harvard, UCLA, Cambridge Judge, and London Business School. Previous business positions include Vice President and Director of Research & Innovation at Capgemini Consulting, senior manager at Price Waterhouse (USA), manager at Unilever, and various boards. Author of China’s Next Strategic Advantage: From Imitation to Innovation (2016), Strategic Transformation: Changing While Winning (2013), Managing Global Customers (2007), Asian Advantage: Key Strategies for Winning in the Asia-Pacific Region (1998), and Total Global Strategy (1992 and 2012). Over 100 publications, including in Strategic Management Journal, Harvard Business Review, MIT Sloan Management Review and California Management Review. In his talks, Prof Yip brings a unique combination of his Asian background, British eloquence and humor, and American expertise. He also blends academic rigor with business pragmatism, and draws on many company examples. Prof Yip is an outstanding speaker who has talked to top management groups and forums all over the world, including ABN Amro, American Express, Arab-Malaysian Bank, Arup, Ashland, Ashmore Investment Forum, Bank of America, BASF, Beiersdorf, Bertelsmann, Brown Forman, Carl Zeiss, Confederation of British Industries, Cisco, Concours Group, Corporate Research Forum, D Group, Deloitte Touche Tohmatsu, Delta Airlines, Deutsche Bank, Du Pont, Ernst & Young, Etisalat, GMAC, HLB International, Honeywell, IBM, J-Phone (Japan), Industry Canada, Invensys, McKinsey, KPMG, Milliken, National Australia Bank, Nestlé, Nissan, Nokia, Philips, Peoplesoft, Pitney Bowes, Pricewaterhouse Coopers, Ralston-Purina, SABIC, San Miguel, SAP, Sara Lee, Saudi Basic Industries Company, Singapore Airlines, Sonae, Sony, Strategic Account Management Association, ST Microelectronics, TAS, TransCanada, and Via Group; and for conferences held by Business Week, Far Eastern Economic Review, Forbes, Fortune, Global Competitiveness Forum (Saudi Arabia), Global Digital Leaders Summit, Global HR Forum (Seoul), Pacific Economic Congress (Vladivostok), World Economic Forum (Davos, Seoul, Singapore, Dalian, and Tianjin), and World Chinese Economic Forum (Beijing).